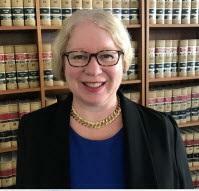 Karen T. Wagner graduated from the University of San Francisco School of Law where she served as the Law Review Articles Editor and represented the school in national appellate advocacy competitions. She was an extern for Hon. Marcus Kaufman of the California Supreme Court and a law clerk to the Hon. Leslie Tchaikovsky of the U.S. Bankruptcy Court, Northern District of California. Karen has successfully represented clients in state and federal trial and appellate courts. She is experienced in land use, construction, landlord-tenant, co-ownership, easement, construction, breach of contract, probate, personal injury, and civil rights cases. Her clients have included property owners, lenders, Fortune 500 companies, universities, non-profit organizations and municipalities. Karen is also a licensed real estate agent and investor who enjoys solving issues in transactions and property management. She and her family live in the North Bay and are avid Warriors and Giants fans.